Watch for WWU Family Connection in your email inbox at the beginning of each month. The newsletter is produced by Western's Office of Communications and Marketing and New Student Services/Family Outreach. Sign up here if you would like to be added to the Family Connection email list. Well, we made it! We are a week into Fall Quarter, and the routines of everyday life here at Western are falling into place for your student. The excitement of Move In and Welcoming Convocation settles down into a steady flow of classes and meals and homework and laundry. There’s still a lot going on, though—and we’re here to support and encourage your students as they come to grips with the realities of college life. If your student seems extra homesick, or if the transition is going slowly, you can find great information on the Family Outreach, Counseling Center, and Dean of Students websites. And we hope to see many of you at Fall Family Weekend, October 20-22, when your student can show you the academic and other cool things happening here at Western. Everyone in Enrollment and Student Services is here to help your student flourish, to reach their goals, and to find everyday and long-term successes that will move them forward. Don’t hesitate to reach out if there’s something I can do to help! Click here to see how we've been celebrating your students during Western Welcome Week. Fall Family Weekend is Oct. 20-22! Come join the fun during this activity-filled weekend with plenty of chances to visit with your student and experience Western firsthand. Throughout the weekend there are many entertainment options; some are free, some with a fee. Options include Planetarium shows, comedy improv from the Dead Parrots Society, kayaking at Lakewood, presentations by the deans of each college, tours, a library scavenger hunt, women’s soccer, and men’s and women’s basketball! Join the cast from the Emmy-nominated TV show, "Whose Line Is It Anyway?" for "Whose Live Anyway?" Enjoy 90 minutes of hilarious improvised comedy and song. See some of your favorite Whose Line games plus some new ones. Bring your suggestions and you might be asked to join the cast onstage. It's always a new show and it's hilarious! Call for seating. $35-$55 WWU students/ $45-$65 general. Bus departing from C-lots at 10:30 a.m.
BelleWood Acres is one of Northwest Washington's largest apple orchards. Event includes charter bus from campus to the orchard, a full brunch buffet including an omelet bar, bacon, scalloped potatoes, flourless chocolate torte, mimosa bar, BelleWood's famous apple cider, and more. Following brunch guests will take a train tour around the orchard and have time to explore the corn maze, tour the distillery, shoot corn husks or go shopping. Please RSVP to help our office better prepare for the weekend and book your accommodations soon. Visit http://www.nssfo.wwu.edu/ffoh/ to learn more about the weekend and to RSVP. Western's Families Page includes links to resources around campus as well as handouts from presentations over the summer. It’s okay for students to come to Western not knowing their exact academic and career objectives, but the sooner they figure it out, the faster they can accomplish their goals. Once students are at Western, there are several resources to get them on the right track. As students get started on the academic year, these resources for help might come in handy. WWU's Career Services Center provides a range of services for every student, and we are especially passionate about the value of career services beginning in the freshman year . Through individual counseling and coaching, as well as in workshops and special events, we offer many programs that may be clarifying for your student. For example, we assist students in exploring interests and developing skills through experiential learning opportunities. We also offer several job and internship fairs throughout the year. Our office is open Monday to Friday, 8 a.m. to 5 p.m., and can be reached at 360-650-3240. Whatever additional activities your student pursues, we are eager to be part of the process! The Carver renovation project included 80,918 square feet of renovation, 25,019 square feet of replacement, and 57,885 square feet of new addition for a total building area of 163,822 square feet. The new addition space is largely classrooms and labs. The renovation provides classrooms, computer labs, movement labs, instructional space, offices, support facilities and gymnasiums for Health and Human Development, Campus Recreation, and Athletics. It also provides additional general university classrooms. Health and Human Development (formerly named Physical Education, Health and Recreation) offers degree programs for students interested in professions related to kinesiology, P-12 physical education and health, community health education, and recreation. It's also the largest and fastest-growing academic department at Western. Viking Dollars saves money over cash! 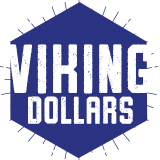 Viking Dollars can be used at ALL campus Dining locations, including convenience stores, dining halls and dining retail locations. Each fall we ask families to join in our Parent Program Fund Drive to provide much needed support for career networking, emotional support and outreach programs for students, and opportunities for families to stay connected through newsletters and events. Last year 1,320 Western parents donated $165,000. Thank you! Your gift, just one of the many ways you have invested in your child’s education, is truly transformational. Our friendly team of Western student Phonathon callers will begin dialing on Oct. 9 and will continue calling throughout the month to share more information and ask for your support. You can make a gift online instead of receiving a call, or learn more at: www.vikingfunder.com/parents. New Student Services and Family Outreach collaborated with University Communications and Marketing to produce a wall calendar filled with tips, key dates and resources for families -- not to mention beautiful photography of campus. The calendars were distributed to incoming families at Summerstart and Transitions. We have extra copies on hand and they're available to WWU families. If you'd like one, email us. Click here to see more WWU news at Western Today, or sign up to get Western Today email updates.